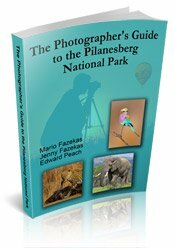 In our photo safari orientation, we always urge people to stop for every shooting opportunity, and we stress that there is never a rush to get anywhere, that the wildlife will come, and that you'll be most successful if you just go slowly and appreciate everything. In short, we tell folks to just take the time to 'smell the roses' and enjoy every aspect of the experience, whether that's a landscape, birds, flowers, antelope, dung beetles, or the big cats. Our recent trips were outstandingly successful because, for the most part, almost everyone did indeed take the time to smell the roses. 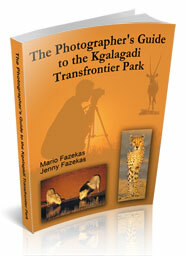 On two of our three trips that was the rule without exception, and the success those safaris had was just incredible. Unfortunately, on one of our safaris a few individuals were impatient and did not take the time to appreciate everything, to take the time to smell the roses. On one occasion, a participant said to his fellow shooters that he was only interested in action, and that person spent most of the morning game drive doing just that - chasing after 'action'. 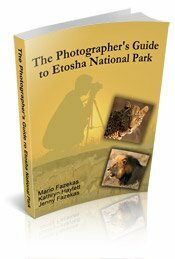 In doing so, the photographer spent only a few minutes at a hyena den with pups - because the pups were only nursing, and he spent only slightly more time with a serval walking through the dawn grass. 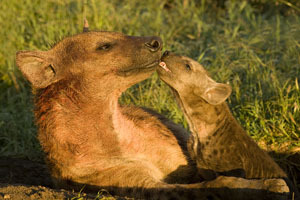 Had that photographer waited, the photographer may have filmed the hyena pups as they played and wrestled with one another, or clambered over their mother's head, or raced about the den site chasing feathers or tugging on sticks and bones - all the activities those more patient photographers filmed at that den that morning. 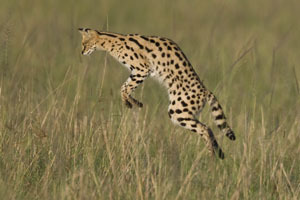 Had the photographer stayed with the serval, a bobcat-sized, beautifully spotted cat that is only rarely seen by day, the photographer would have had a chance to shoot this cat as it performed several incredible leaps in the air as it bound, coyote-like, onto hidden prey rusting in the long grasses before it. 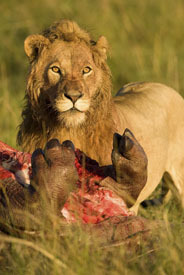 watched the nerve-wracking spectacle of a male hippo trying to attack a calf, but thwarted by the defensive efforts of its mother, filmed various cheetahs and a lion killing a hippo. On this day, however, everyone seemed ready to just meander about and truly 'smell the roses,' filling in photo gaps here and there with shots of rollers, hawks, giraffes, and antelope. 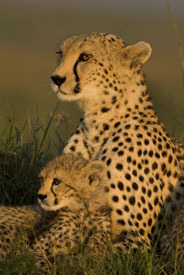 My vehicle was doing exactly that - we'd stopped for Kirk's dik-dik, a small antelope that rarely strays out of the thick brush scattered across the Mara grasslands, and we had just finished a ten minute session with a cooperative Thompson's gazelle mother and new born. The baby was only a day old and we followed the pair as the fawn nursed, scampered about, and periodically wove itself beneath its mother's belly. It was to be the highlight of our morning shoot we thought, although it was only 7:30 in the morning, when events suddenly changed. The antelope pair had wandered off, trotting into a large pocket of open grassland surrounded on three sides by riverine forest. We talked quietly about how neat that shooting encounter had been, and were just about to put our photo equipment down in preparation to driving on when suddenly a cat shot out of the brush and bounded towards the two antelope. I could hardly believe my eyes - and for a second I thought a cheetah had appeared out of nowhere when I realized that I was watching a leopard about to make its kill! None of us had time to react, and my only shots of the initial encounter was the moment the cat grabbed the fawn - a distant shot with most of the animals obscured. A second later the leopard bounded back into the brush the way it had come, carrying the baby by the neck in a hold that showed it had not killed the fawn. I shot a complete 29 frame, buffered-out motor drive blast of this run, and caught several nice shots. 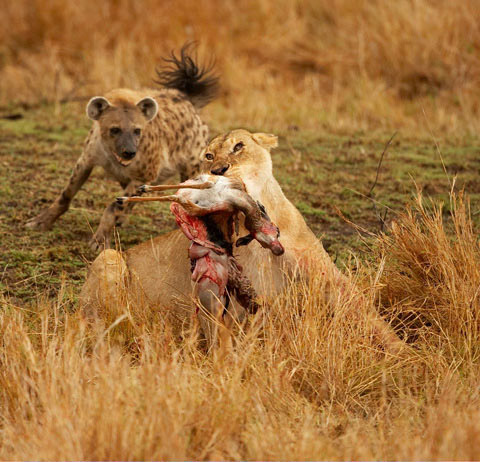 All of us were elated - we'd seen one of the most difficult acts one can witness in nature: a leopard making a kill. But more was in store. 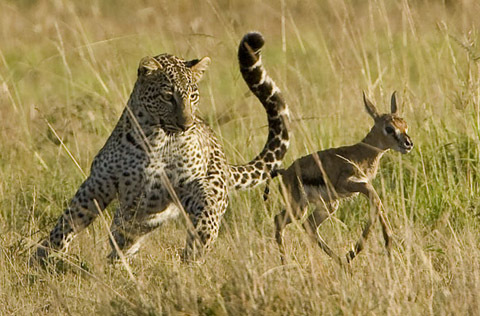 A few seconds later the baby Thompson raced back out into the clearing, with the leopard in close pursuit. It caught the baby immediately and withdrew again into the thicket. A few seconds later it happened again, and we realized that the leopard was actually playing with the fawn, in much the way that a mother cheetah often lets her cubs play with a fawn to teach them how to hunt. But here there were no cubs, just a lone young adult, and she was playing! 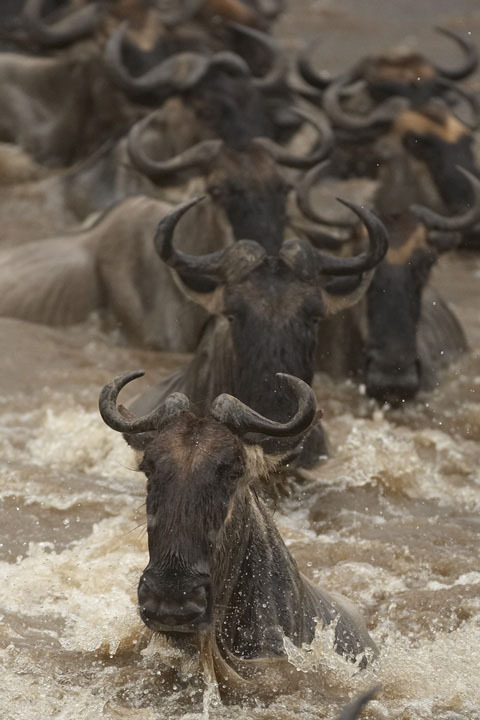 The action continued for nearly an hour, and we were able to call in all of our vehicles to witness and photograph this incredible behavior. Not one of our Kenyan guides had ever heard or seen such behavior, and neither has Mary or I, so we're talking of over 120 years of combined safari experience! 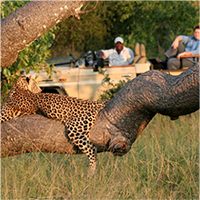 Eventually the leopard retreated into the thicket for good, where she climbed a tree and continued to play with the baby. The tree was at the edge of the thicket and we still had views, and after she finally killed the fawn, she climbed back down the tree to feed at its base. This little anecdote is just one of many, but illustrates the importance of stopping to smell the roses for one never knows when or where action will occur, and if one races about looking for action you are almost certainly not going to find it! Regardless of where you are shooting, whether that's in the high country of Yellowstone or the plains of Southern or East Africa, take the time to enjoy and observe everything, and smell the roses!